Heterogeneous network (HetNet) serves as one of the most promising technologies for the upcoming fifth-generation (5G) wireless networks. 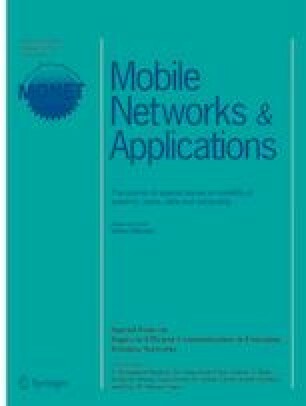 In this paper, we consider the joint design of the delay-aware user association and power control problem in an uplink HetNet. The problem of interest is to minimize the overall power consumption subject to the strict delay constraints, which is modeled as a non-convex and mixed-integer nonlinear programming (MINLP) problem. To solve this intractable problem, we first adopt the ℓ1-norm approximation approach to convert the integer constraints into solvable forms. Then, an iterative algorithm is proposed to solve the reformulated problem based on the successive convex approximation (SCA). The proposed centralized SCA-based algorithm employs the arithmetic-geometric mean (AGM) approximation and it can be further improved by the reweighted ℓ1-minimization technique. A distributed implementation using alternating direction method of multipliers (ADMM) is presented as well. The simulation results are provided to demonstrate the effectiveness of the proposed algorithms. The work is supported by the NSFC (61871027, and 61725101), Beijing NSF (L172020), and the Major projects of Beijing Municipal Science and Technology Commission (Z181100003218010). The authors would like to thank Prof. Xia Chen for her valuable suggestions. Chao Shen is the corresponding author.